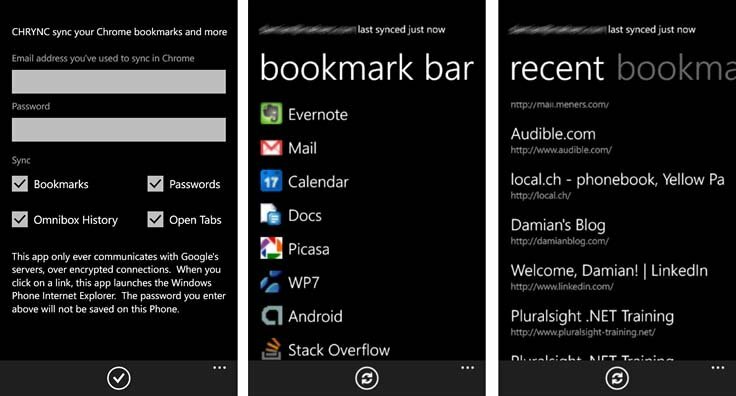 Chrync is a nifty Windows Phone app that lets you sync your Chrome Browser bookmarks to your Windows Phone. The app doesn't require any special extensions for your PC browser and speaks to Chrome through Google servers over a secure link. Chrync is fairly easy to use. When you first launch Chrync you will need to sign into your Google or Chrome account and choose your sync options. From there, the app syncs your bookmarks, history and open tabs and spreads them out by category in panoramic fashion. Tapping and holding a bookmark or folder brings up a pop-up menu with options to pin or share the item. Tapping a bookmark will launch IE to that URL. 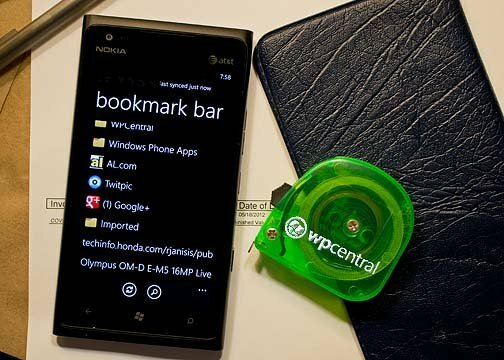 If you use Chrome and need an easy, straight forward way to sync your bookmarks to your Windows Phone...Chrync is definitely worth a try. There is a fully functional trial version available (comes with prompts to buy the full version) to let you try before you buy. The full version of Chrync is running $.99. You can find it all here at the Windows Phone Marketplace.